Now in its 21st year, the Shootout remains one of the iconic – and most talked about – races on the Australian feature race calendar. It’s also one of my favourite races. It’s unique in both he format and in its conditions, and few events generate the excitement – or controversy – as the Shootout. The concept is simple – by halving the size of the field, you reduce interference and give greyhounds that perhaps lack speed at box rise, or need room early to muster speed, the opportunity to show what they can do. That’s not to say that ‘run-on’ type dogs are necessarily advantaged – it’s tough for any dog regardless of how strong they are to run down an equally fast dog carving out smart splits out in front. The Shootout was launched as an opportunity for connections of a fast dogs to ‘put their money where their mouth was’ and prove how has the fastest greyhound over the 515m journey. Entry to the race carried a $5000 entry fee and with the club matching those fees, the first Shootout offered a $40,000 winner-takes-all prize and bragging rights to possessing the fastest dog in the land. Unfortunately the first race in 1998 drew just three entries – Victorian greyhound Time Framer, NSW chaser Golden Butter and Western Australian star Reggemite, with the later storming to a comprehensive victory. The connections of Rapid Journey, who had swept all before him in group races around the country in one of the most amazing 12 months of racing ever seen, declined to participate stating they didn’t support the concept. It was a position a number of other participants shared which meant a number of fast greyhounds never took their place in the field. Indeed, the entry fee system saw many owners and trainers bypass the series in preference for other races, so in 2008 the entry fee was waved and opened up to all comers. One of the biggest misconceptions about the race is how the field is compiled. Group race form is a consideration, but the intent of the race to find the fastest dog and times matter. There have been many outstanding race dogs that simply wouldn’t be able to run fast enough to a win a race in this format. 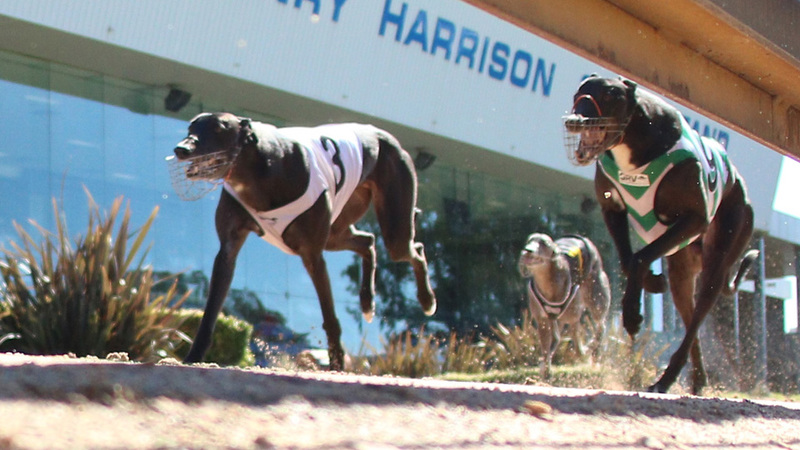 It is not a four-dog Topgun – greyhounds don’t earn a Shootout berth by winning group races. They earn their way in by running fast times. And unlike the Speed Star where greyhounds qualify with the top 8 getting through to the main event, the criteria for the Shootout provides for fast times at other tracks to be considered. Because of this, there have been controversies throughout the race’s history – remember the stayer So Sedcutive being selected in the field in 2009? Trying to determine the ‘best four greyhounds as suited to the format’ is tough and by its nature, subjective. Whatever the final field is, the majority of people will think the final field is wrong! But that’s one of the things I like about the race and our sport in general – it invokes people’s passions. And a strong discussion point is good for the sport. For a race that aims to find the fastest greyhound in the land, it is somewhat surprising that the track record has only been broken once in the Shootout. It also happened to be the first Shootout I saw, and it may be a reason why I have such a soft spot for the race. I had been at Sandown for around six months when Bond was selected in the field, and coming from a thoroughbred background had no real idea what the race was all about. 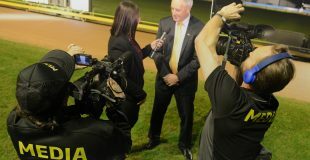 The former NSW chaser had never raced at Sandown Park prior to the Shootout but the buzz around the dog was tremendous. When he surprised everyone by landing on the lure and leading through the first turn, all eyes to turned to clock as he extended the margin at every mark, storming to a seven length in win 29.38 – length faster than the previous mark. And with that, I was hooked. On the race, on the sport. This year’s Shootout promises to be similarly tantalising. Aston Kimetto, the heavily supported favourite and regarded by the powerful Thompson kennel as the fastest greyhound they’ve trained. Orson Allen who was simply brilliant when running the fastest time since the Speed Star last week. She’s Gifted who led Orson Allen for all but the final stride, and the supremely fast Queenslander Maurice Minor. Regardless of who wins, they’ll have earned their place among the sport’s fastest chasers, and you can guarantee the conversation won’t stop there.